Specialists in Car, Van and Trailer Servicing and Repairs. Looking for a professional mechanic in Ayrshire? We specialise in the maintenance of all trailer types, from small garden trailers to large, bespoke horse boxes, car transport trailers and plant trailers. Based in South Ayrshire, AM Mechanical Services provides a comprehensive range of vehicle servicing, maintenance and repair. With a fully equipped workshop in Ayr and an additional facility for horse box repair work in Kirkoswald, we're the first choice for trailer and vehicle maintenance and repair in the area. AM Mechanical Services is located in Ayr, housed in a large workshop and equipped with the very latest diagnostic equipment and tools. The full range of vehicle maintenance and repair services are carried out in the Ayr workshop, from van repairs and car servicing to trailer repairs and horse box maintenance that can be serviced in Kirkoswald. 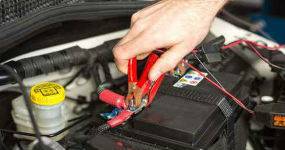 Our Primary location in Ayr is designed for repair, maintenance and servicing of cars in the Ayrshire area. Not only do we offer a number of great mechanical services AM Mechanical also offer a vehicle collection service in and around the Ayrshire area. If your vehicle has broken down and you find yourself stranded at the side of the road or your car fails to start on that cold winters morning, don't worry, we can help! Just give us a call and one of our friendly team will be with you to collect your vehicle and bring it back to our workshop. 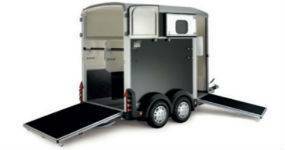 We specialise in the maintenance, repair, servicing and refurbishment of trailers in Ayrshire, including horse boxes, small hobby trailers and car transport trailers. Full rewiring, new panels/floors and health checks available. 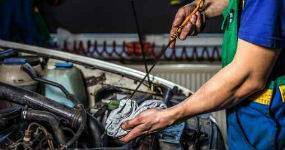 Honest and reliable car services in Ayrshire from an experienced and qualified engineer, including general maintenance and repair, servicing, diagnostics, pre MOT checks, brakes, clutches, exhausts and more. Ask us about our quick and competitively priced range of services for vans in Ayrshire, including brakes, exhausts, clutches, pre MOT checks, diagnostics, servicing and all general maintenance and repair work.